PRICE REDUCED! 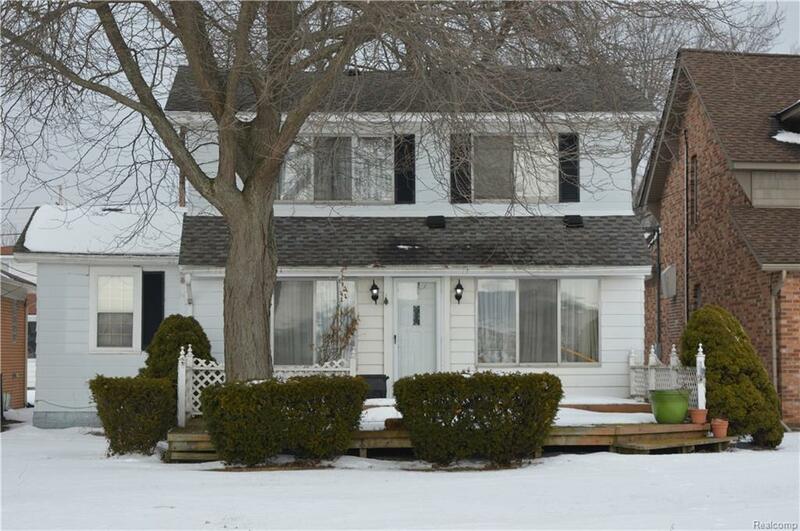 FANTASTIC RIVERFRONT LOCATION ON THE NORTH CHANNEL OF THE ST CLAIR RIVER. THIS DIAMOND IN THE ROUGH IS WAITING FOR YOUR RENOVATION TALENTS. FEATURES INCLUDE A SPACIOUS KITCHEN WITH OAK KITCHEN CABINETS, BUILT-IN CURIO CABINETS, AND BREAKFAST BAR- A GENEROUS SIZED LIVING ROOM AND DINING ROOM FOR THOSE BIG FAMILY GATHERINGS-FIRST FLOOR BEDROOM- HUGE UPSTAIRS BEDROOM WITH HARDWOOD FLOORS AND A WALK-IN CLOSET-FIRST FLOOR LAUNDRY-HARDWOOD FLOORING THROUGHOUT- NEWER FURNACE AND HOT WATER TANK-20 x 26 FT BOAT HOUSE WITH 2 BOAT HOISTS- I CAR GARAGE- FOR THE BOATERS AND FISHERMEN-ENJOY THE EASY ACCESS TO LAKE ST CLAIR, MUSCAMOOT BAY, FISHERS BAY, THE SOUTH, AND MIDDLE CHANNELS-APPLIANCES INCLUDED.